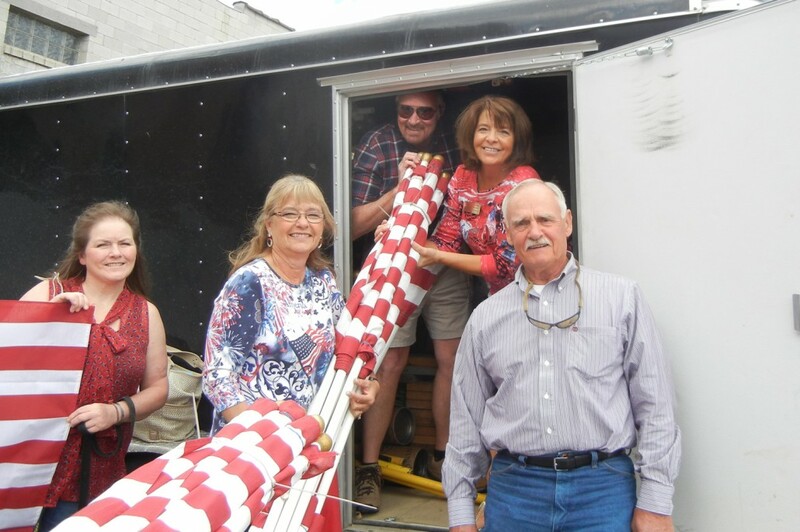 1000 American flags for the 2014 Field of Honor arrived in Butte on June 11th. Butte Exchange Club members are taking inventory of the contents of the trailer. Exchange Clubs in the Yellowstone District reduce the cost of the flag display by sharing flags, signs and other materials with clubs in Montana and Idaho. 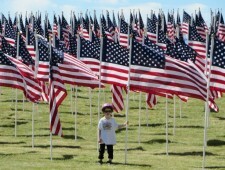 The Butte Field of Honor will be on display from July 3 – 6 at the Continental Drive and Mercury Streets. The Field of Honor is free and open to the public. More information may be found on the Field of Honor page of this website.